I'm liking this double feature trend! Movie tickets are so damn expensive, it would be nice to have some extras thrown in there now and then. 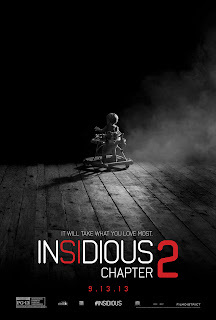 In anticipation of James Wan’s (THE CONJURING) new horror thriller INSIDIOUS: CHAPTER 2, FilmDistrict announced today that participating theatres nationwide will host THE ULTIMATE INSIDIOUS EXPERIENCE – a one-night-only theatrical event giving fans the opportunity to catch the original INSIDIOUS playing back-to-back with early access to INSIDIOUS: CHAPTER 2. 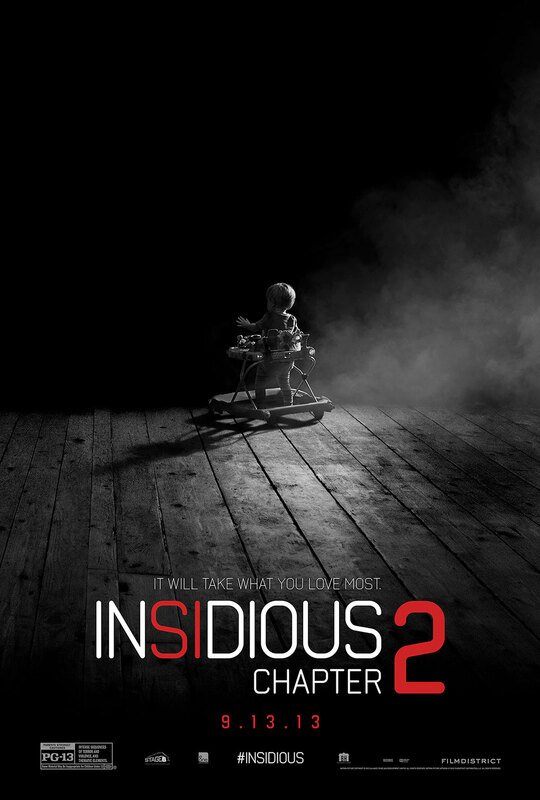 A haunted family struggles to uncover a terrifying secret that has left them dangerously connected to the spirit world in Insidious: Chapter 2,the latest nerve-twisting horror thriller from director James Wan (The Conjuring, Saw, Dead Silence and Insidious) and screenwriter Leigh Whannell (Saw, Insidious). Produced by Jason Blum (Paranormal Activity, The Purge, Insidious) and Oren Peli (Paranormal Activity, Insidious), the sequel reteams the cast of the first film, including Patrick Wilson (Hard Candy, Watchmen, Little Children), Rose Byrne (X-Men: First Class, Bridesmaids, 28 Weeks Later), Barbara Hershey (Black Swan, The Portrait of a Lady), Lin Shaye (There’s Something About Mary, Dumb & Dumber) and Ty Simpkins (Iron Man 3). FilmDistrict and Blumhouse Productions’ Insidious: Chapter 2 stars Patrick Wilson (Hard Candy, Watchmen, Little Children), Rose Byrne (X-Men: First Class, Bridesmaids, 28 Weeks Later), Barbara Hershey (Black Swan, The Portrait of a Lady), Ty Simpkins (Iron Man 3), Andrew Astor (The Hangover), Lin Shaye (There’s Something About Mary, Dumb & Dumber), Leigh Whannell (Saw) and Angus Sampson (Mad Max: Fury Road).